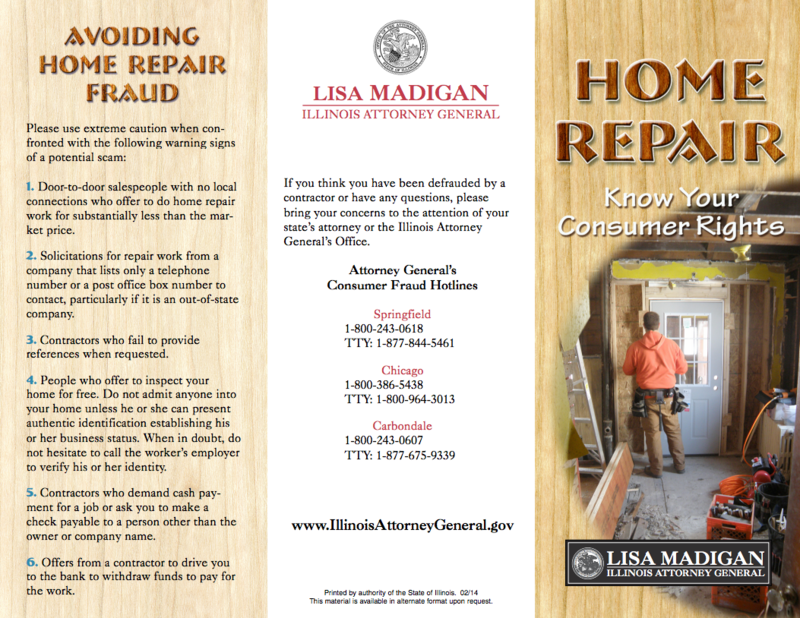 Home repairs are inevitable, but they don’t have to be stressful. 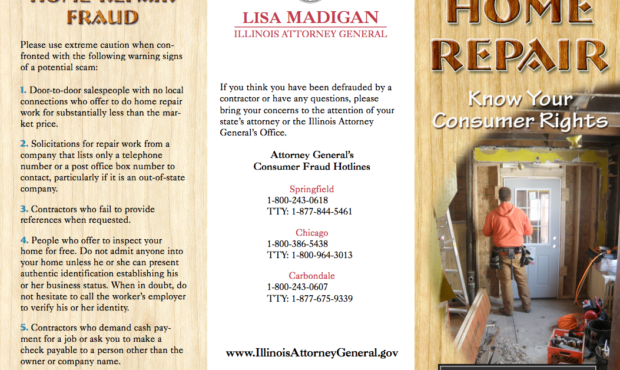 Lisa Madigan, the Illinois Attorney General recently released a list of tips to ensure your home is being worked on by a professional contractor. Door-to-door salespeople with no local connections who offer to do home repair work for substantially less than the market price. Contractors who fail to provide references when requested.